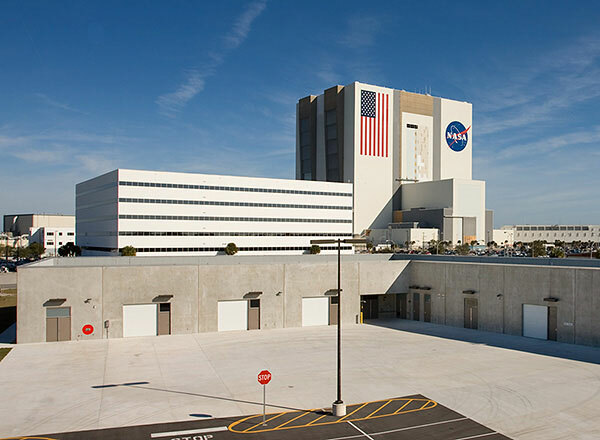 KSC – Repair Horizontal Lifelines O&C – RUSH, Inc.
Project consisted of removal and replacement of the complete horizontal fall restraint cable system for the Operational and Checkout (O&C) facility at the Kennedy Space Center. The newly installed horizontal lifeline system is a fully engineered fall restraint system that complies with all ANSI requirement. Two systems are being replaced in the high bay area of the facility; one is 125 LF and the other 653 LF. Both systems are located between 55 and 100 LF from the floor of the facility. The High Bay work area is located in a secure environment and is a clean room that required additional security clearances and stringent housekeeping requirements.